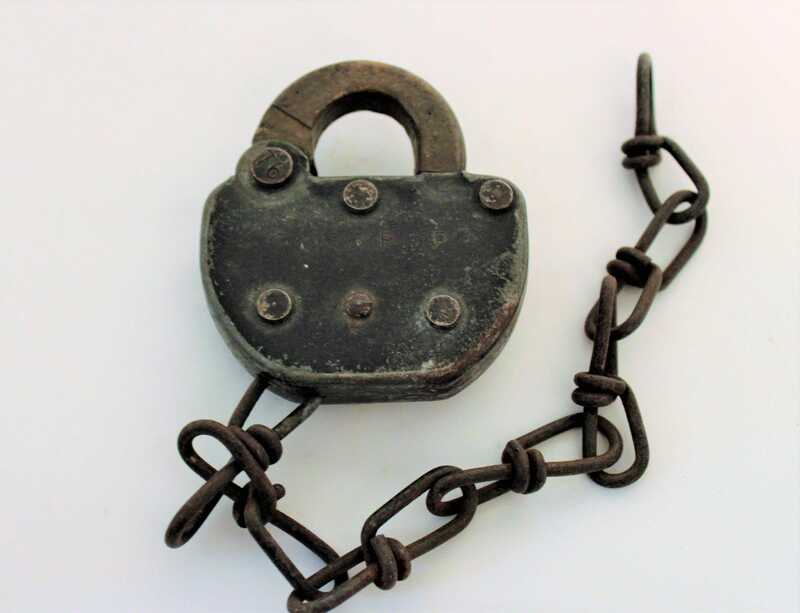 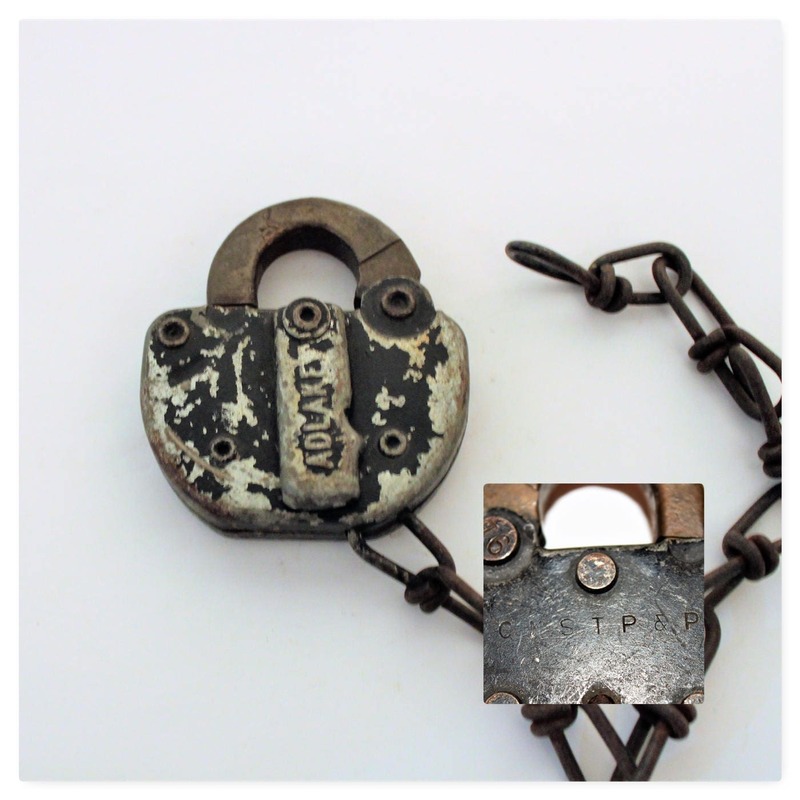 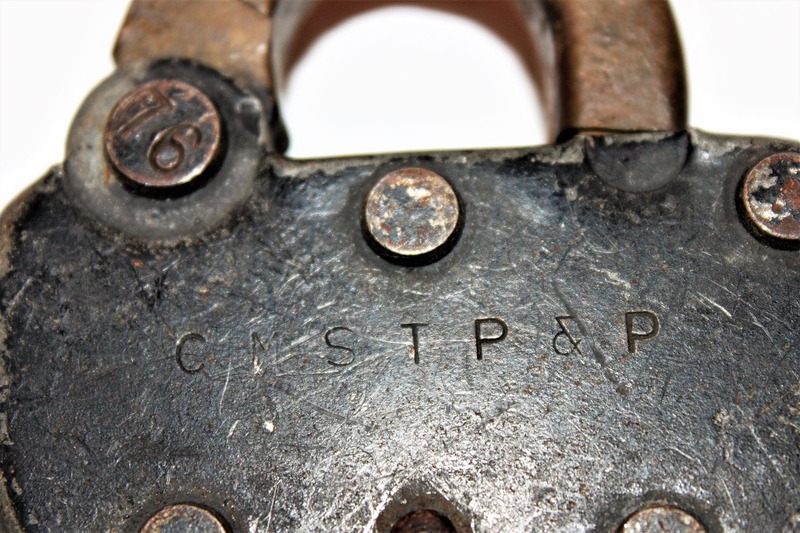 This is a Adlake switch lock made for the Chicago, Milwaukee, St. Paul and Pacific Railroad route. 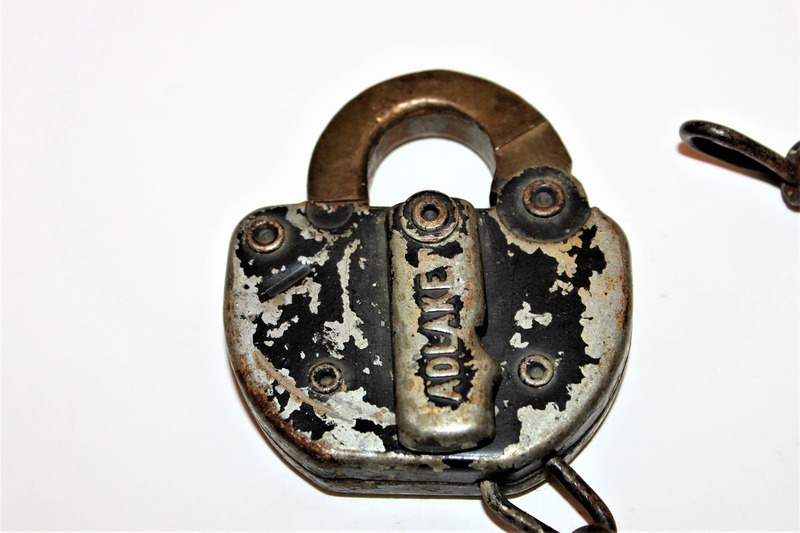 The Adlake lock is steel with brass throw. 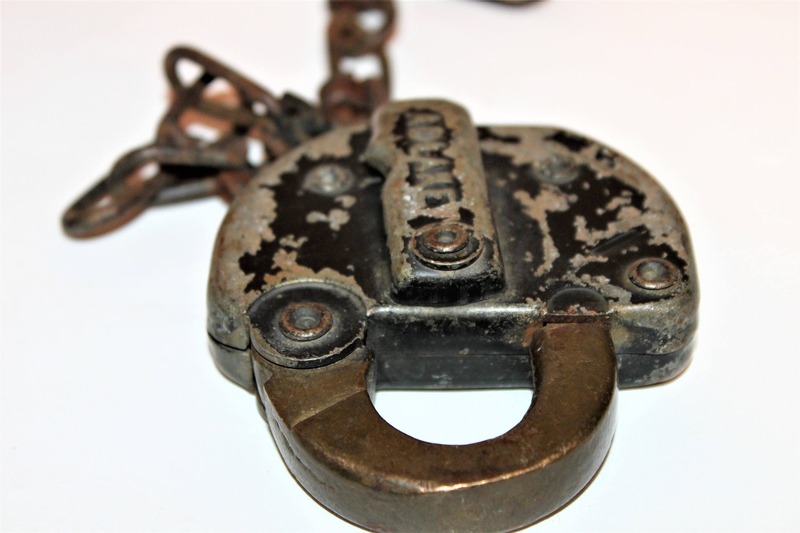 Condition; good with light surface rust, was painted black, untested sold AS IS.